British carrier Vodafone is advising its iPhone 4S customers not to upgrade to the latest version of Apple’s operating system because of an issue that can cause problems making calls, sending texts and accessing the Internet. Apple released iOS 6.1 last week, an update that added support for LTE networks in more countries as well as Siri-powered movie ticket buying, bug fixes and other updates. The 3G problems, even for those affected, are intermittent, Vodafone said, while placing the blame on Cupertino for the problem. 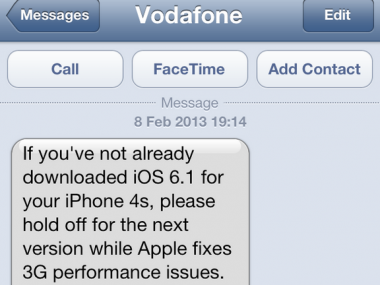 Twitter user Michelle Muirhead posted a text message she said Vodafone had sent advising against downloading the iOS update. 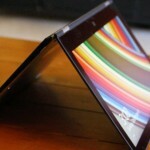 An Apple representative was not immediately available for comment on the issue.